Bird and Lime are barnstorming New York with lobbyists as they seek to expand into what could be a massively profitable market. The e-scooter companies have already established a presence in hundreds of cities across the United States and the globe, presenting their products as affordable “micro mobility” alternatives that get people around while reducing carbon emissions and traffic congestion. It’s an appealing argument that has been embraced as part of the broader public transit conversation by many elected officials and transit and street safety advocates, particularly in New York City with its crumbling subway system, slow buses, and crowded streets. And that argument is being spread widely through hundreds of thousands of dollars spent on lobbying. At the state level, Cuomo has proposed giving municipalities the authority to legalize both e-bikes and e-scooters, which many, including Mayor Bill de Blasio and City Council Speaker Corey Johnson, argue would need to happen first if the city is to act. “Authorizing these transportation alternatives in a sensible and safety conscious manner will provide cheaper and more environmentally friendly transit options to New Yorkers and visitors who can use these options for work or leisure,” said Jason Conwall, a spokesman for Governor Cuomo, in a statement. The proposal includes mandates for the use of helmets, reflective gear, a bell or horn, and a maximum speed limit. “It will also attract new businesses and generate job opportunities for New Yorkers, and align the state with many other states and cities that have successfully brought this technology to their residents,” Conwall added. De Blasio has seemed open to legalizing e-scooters, though he has emphasized that public safety must be the first priority. “If I can see something that will create safety in this city and allow people to use e-bikes or e-scooters, I’m very open to that,” he said at an unrelated news conference in November. But while he is in favor of pedal-assist e-bikes, he has strongly opposed legalizing e-bikes with throttles, citing safety concerns, though without evidence. At de Blasio’s behest, the NYPD has been cracking down and confiscating e-bikes, which are often used by immigrant delivery workers, and fining individuals and businesses (most of the fines are levied against individuals, as reported by Gothamist in January, contrary to de Blasio’s professed plan to target businesses). Meanwhile, the city launched a pilot dockless-bike program last year in July -- in partnership with Lime, CitiBike, and Jump -- which allowed pedal-assist bikes, which are similar to throttle bikes but run at slower speeds. Scott Gastel, a city Department of Transportation spokesperson, said the de Blasio administration is reviewing the governor’s proposal. “If the State takes action to provide a local path to legalization, there will be a conversation about what makes sense for New York City,” he said in an email. 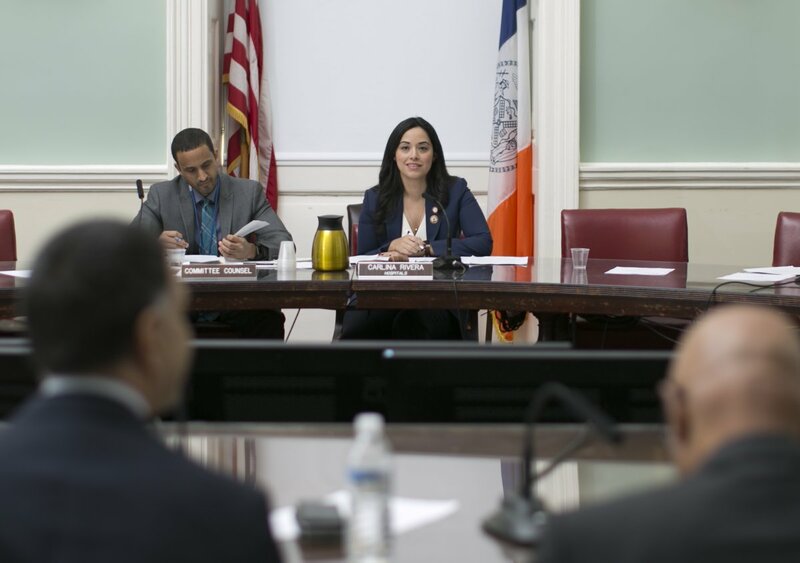 The bills in question -- sponsored by Council Members Fernando Cabrera and Rafael Espinal -- would remove restrictions against e-scooter and e-bike use, create a program to help throttle-bike owners to convert them to pedal-assist bikes, and create a pilot scooter-sharing program. For certain City Council members, lobbying by e-scooter firms has presented a golden opportunity to attach e-bikes to the conversation, providing what they say is much-needed justice for immigrant delivery workers who have suffered under de Blasio’s crackdown. Over the last year, Bird Rides Inc. has hired several firms to represent its interests including Blue Suit Strategies, Connelly McLaughlin & Woloz, the Mirram Group, Dickinson Avella Vidal, and Tusk Strategies, which has close ties to Council Speaker Johnson and is known for its successful effort in helping the ride-hailing service Uber avoid new regulations in New York City in 2015 (those regulations did pass in 2018). David Estrada, Bird’s chief legal officer, is among several Bird employees who have also registered as lobbyists in New York. By the end of 2018, Bird had spent about $142,000 on its lobbying effort, according to city and state lobbying records. Those efforts are ongoing and Bird signed retainer agreements with several of firms to work throughout this year. Blue Suit, for instance, signed an agreement to be paid $3,000 each month through March 2019 to lobby before city officials. Connelly McLaughlin & Woloz signed on for a $6,500 monthly retainer through the end of the year. The Mirram Group’s contract, which extends till August, is expected to cost $10,000 per month. 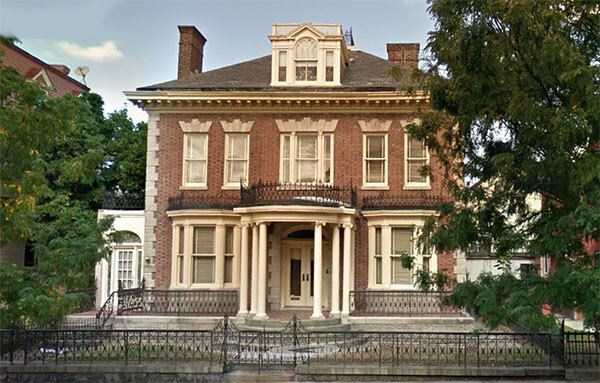 Ostroff Associates is expected to receive $5,000 each month till the end of July. And Tusk Strategies’ contract was the costliest, at $25,000 per month for the full year. 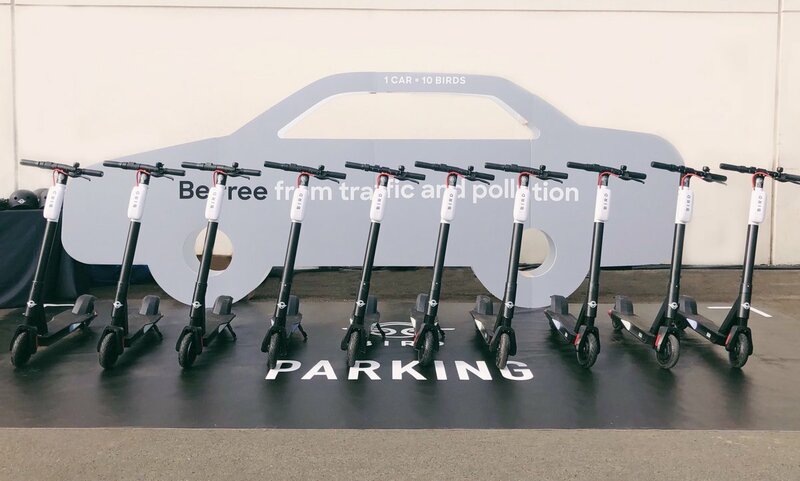 Neutron Holdings, Lime’s parent company, similarly hired James F. Capalino & Associates, Urban Strategies, and Yoswein New York to lobby local and state officials for both e-scooter legislation and for expanding its dockless bike share service into New York. The company had already spent about $146,000 by the end of last year and plans more. Capalino & Associates’ contract runs through the end of 2019 with a $10,000 monthly retainer. Urban Strategies was retained to work for the company through the end of May for $5,000 each month. Does the mayor really care? “I think we’re gonna make the mayor care,” Menchaca said. Council Member Antonio Reynoso sees the issue as indicative of a larger de Blasio problem. “The way we’re thinking about it is we’re gonna leverage the lobbying effort made by the e-scooters to make sure that we get justice for the e-bike folks,” he said in a brief interview in the Council Chambers at City Hall. De Blasio finds himself increasingly isolated in his position. E-scooters and e-bikes are one of those rare issues where the interests of transit and street safety advocates on the ground line up with those of large firms with a profit incentive. He also suggested that the city should institute a buy-back program for e-bike owners, similar to the NYPD’s regular gun buy-backs that take guns off the streets. Conner did have concerns, however, about the governor’s legalization proposal, particularly the helmet and reflective clothing requirements, which he said are “well-intended” but would discourage the use of e-bikes and e-scooters. It would also harm the existing CitiBike program, which doesn’t require either, he pointed out. “Helmet sharing is not a thing and will never be a thing,” he said, while the reflective clothing rule is “a recipe for subjective and racially disparate enforcement.” The governor’s proposal also gives motor vehicles the right of way over e-bike and e-scooter riders, which Conner said should be reversed. 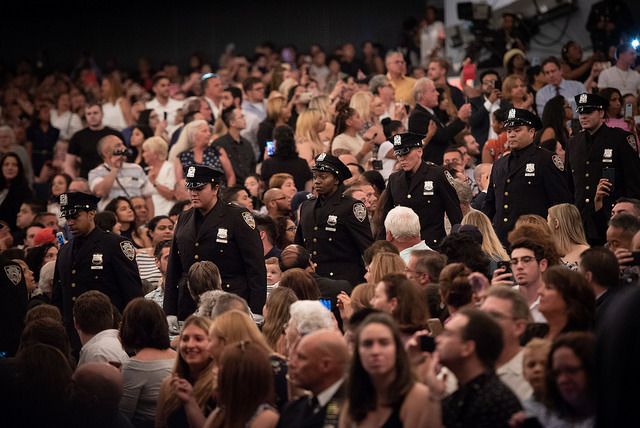 Right now, there are more police in New York City schools than there are guidance counselors and social workers combined. What message does that send our children? It is time to drastically change course in how we invest in the lives of black and brown young people. 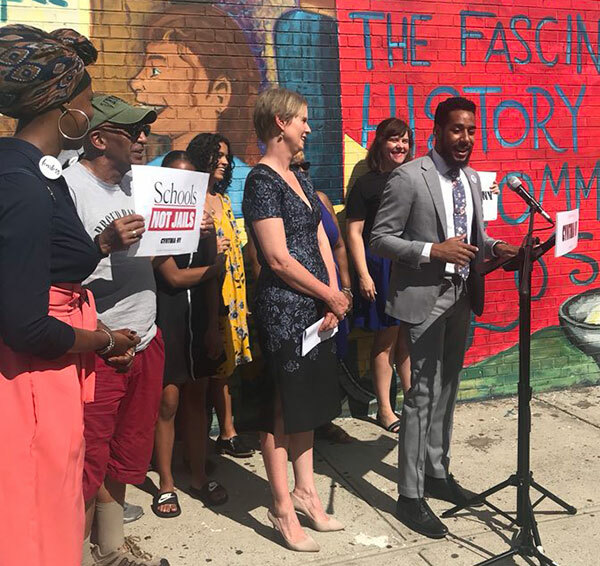 Talking to friends and allies across the state, the stories and experiences of the young people in my district are strikingly similar to those of young people across New York, from the Hudson Valley to Syracuse and beyond—because, while we can draw geographical lines to separate their school districts, it’s the color line that ensures they will all still be impacted by racially discriminatory school discipline policies and practices. These policies have created a school-to-prison pipeline that afflicts young people of color across the State of New York. As Governor, Cynthia Nixon is committed to transformative policy changes to dismantle this system. That’s why a central part of her #SchoolsNotJails platform is school climate reform. Cynthia’s plan will push New York to lead the way by creating a Restorative Practices Training department within the State Department of Education to support schools in implementing restorative practices, introduce legislation to end school-based arrests for misdemeanors and violations, support schools to remove ineffective security measures, such as law enforcement and metal detectors, and only use suspensions as a last resort. In New York State, there are over 500 suspensions per day and a disproportionate number of our young people being suspended are students of color. Statewide, one in five black boys are suspended from school each year; for black girls, it is one in seven. In New York City, black students are 27% of the population but nearly half of all students suspended; in Kingston they are 14% of the student body but 36% of all suspensions; and in Troy, they are 31% of the population but 61% of all students who are expelled. The racial disparities in the statistics on referrals to law enforcement are just as alarming. In New York City, black and Latino students are 92% of all students who receive a summons; in Schenectady, black and Latino students are 75% of all students referred to law enforcement; and in Buffalo, black and Latino students are 85% of all students referred to law enforcement. These disparities begin in pre-kindergarten, where black students are 3.6 times more likely to be suspended from school. And they continue through high school and beyond—one suspension in high school doubles the likelihood that a student will drop out before graduation and it denies students from critical instructional time. Last year, students in New York lost 686,000 days of instruction because of suspension. If the school discipline gap continues, it’s no wonder that our state is struggling to close the graduation gap. Those numbers alone should be enough evidence to convince Governor Cuomo to take steps to dismantle the school-to-prison pipeline. But instead of confronting this reality, under his leadership, New York has done nothing to curtail the school-to-prison pipeline. The young people I meet with are clear that the way forward is not to continue to “harden” their schools and rely on ineffective and harsh school discipline and policing, but to ensure equity in school discipline policies and practices and reimagine our approach to safety. There is no evidence that police officers and metal detectors make schools any safer, but there is ample research that shows they makes students feel less safe and result in more young people being pushed in front of police officers, prosecutors, and judges instead of guidance counselors, social workers, and school administrators. Students feel safest in their schools not when they know technology exists that track their every move, or police officers do random checks and sweeps, but when they have staff trained in trauma-informed care, restorative practices, and youth development that are there to attend to their needs and create an inclusive environment. Young people in my district are leading the way in demonstrating what safe and supportive schools can look like. Many of these schools are implementing restorative practices with real results -- dramatically decreasing suspensions and building strong school communities. This year my district saw one of the largest decreases in suspensions across the city. We can replicate this and transform schools into the safe and supportive learning environments our students and families deserve. 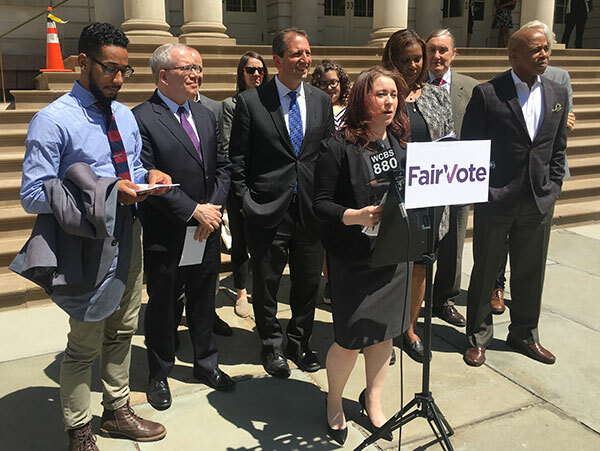 New York needs a public school system that is completely disentangled from the criminal justice system and a commitment that we are creating a nurturing and supportive environment for all students. This is the commitment that Cynthia Nixon is making. We need to invest in schools, not repeat the same policy failures that have led to our children ending up in jails. Antonio Reynoso is the City Council member for New York’s 34th Council District in Brooklyn. 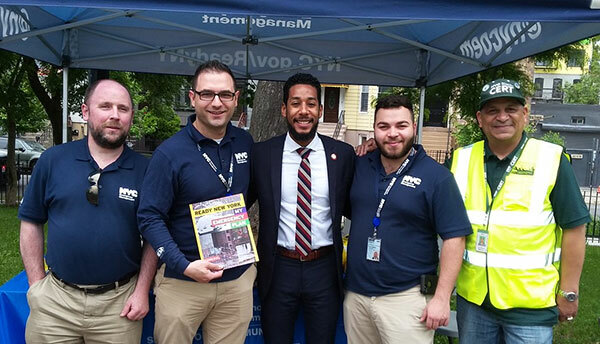 On Twitter: @CMReynoso34. But there’s a lot about trash -- waste management, really -- to discuss, and Reynoso is at the forefront of the conversations as chair of the City Council’s sanitation committee, a position he has held for more than four years, continuing in the post into a second and final term. Reynoso discussed major waste management issues facing New York City during a recent appearance on the What’s The [Data] Point? 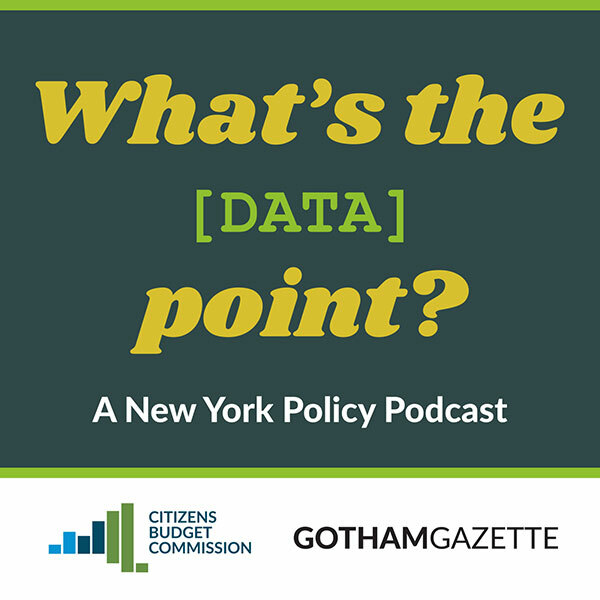 podcast from Gotham Gazette and Citizens Budget Commission, touching on regulating the private caring industry, which is the source of a great deal of controversy; changing the waste-hauling zones in the city to reduce pollution and increase efficiency; mandating more recycling from New Yorkers, such as of solid food waste, also known as composting; and more. Reynoso, who represents a district that includes Williamsburg, Bushwick, and Ridgewood, crossing from Brooklyn into Queens, and a lot of the city’s manufacturing space. Many of his constituents rely on the L train, and Reynoso touched upon the line’s looming closure. Born in Williamsburg to immigrant parents, Reynoso was the chief of staff for City Council Member Diana Reyna before he ran for the Council in 2013 and defeated former Assemblymember Vito Lopez in the Democratic Party. Reynoso easily won the general election in a heavily Democratic district and cruised to reelection in 2017. Throughout his time in the Council, he has chaired the sanitation committee and had oversight of key agencies related to trash, snow, and more. In New York, every commercial establishment that will not heave its own trash is obliged by law to have its waste removed by a private carter licensed by the Business Integrity Commission. There are more than 200 carters licensed by the BIC that can lawfully gather trash from commercial establishments in the city. However, many of these carters have bad safety records and recent journalism, largely by ProPublica, has exposed the rogue and dangerous world of private carting. Reynoso said the BIC, which was originally an anti-organized crime unit, is failing to regulate the city’s private waste industry, even after two deaths involving Sanitation Salvage, a private carter, in the last six months. Not only is better safety regulation of private carters essential, Reynoso said, but the city must also return to a zoned system for collections, where a small number of companies wins contracts for certain geographic areas. 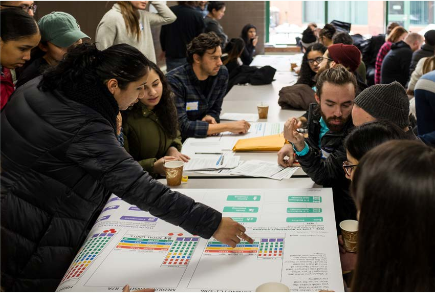 A plan is expected soon from the de Blasio administration with proposed zones and other regulations. Reynoso discussed the importance of requiring what he called “mandatory organics recycling.” This would involve adding organics to the list of required recyclables that already includes metal, glass, plastic, and paper. For this directive to work it must be compulsory, not voluntary, Reynoso said. Throughout the podcast, Reynoso repeatedly emphasized the word “bold” in discussing the need for the city to pursue and see real change. He called on Mayor de Blasio to take the lead. Beyond trash and sanitation, Reynoso was briefly asked about the upcoming L train shutdown, which will begin in 2019 and force hundreds of thousands of New Yorkers who use the subway line to go between Manhattan and Brooklyn every day to find alternate routes. In 2012, Hurricane Sandy flooded the Canarsie Tunnel under the East River with gallons of salt water, which caused critical destruction. The MTA has released a wide-ranging plan to alleviate the consequences of the eventual stoppage, including a busway and bikeway in Manhattan and increased subway service throughout the city on other lines. A number of details still need to be worked out, some of which rely on the city’s Department of Transportation. Reynoso said an audacious effort by DOT is required for city transportation to run smoothly following the shutdown. He said the DOT has not planned enough change on the Williamsburg Bridge for a smooth transition. He is calling for an exclusive bus lane that runs 24/7 and the importance of shutting down streets for pedestrians, buses, and bikes. For too many New Yorkers, this nightmare is their reality. The stories are plentiful: heat and gas shutoffs in the middle of winter, jackhammering causing cracks in apartment walls, loss of power, and lead dust in the air lasting for months on end. For years, city and borough officials and community advocates have encountered a critical mass of stories like these, detailing the unscrupulous conduct of landlords as well as the insufficient response from the City of New York. We, as members of the City Council members and its Progressive Caucus, see the writing on the walls: our city needs more protections in place for tenants facing construction harassment. Understanding the need to strengthen the ability of the Department of Buildings (DOB) to protect tenants from construction as harassment, the grassroots Stand for Tenant Safety Coalition (STS) has partnered with the Progressive Caucus to put forth a package of legislation aimed at achieving just that. These 12 STS bills, most of which are sponsored by members of the Progressive Caucus, with strong support in the Council, will put in place much tougher penalties against abusive landlords for illegal construction practices and enact preventative measures to help tenants protect their homes. The goal is to change the way DOB handles construction harassment so that the agency is empowered to become more proactive with regard to issuing construction permits and facilitating communication among tenants, landlords, and city agencies. Such renewed tenant protections are intended to quicken and fortify the City’s response to construction harassment so vulnerable residents in rapidly changing neighborhoods are able to stay in their homes and communities. As policymakers, we know that construction harassment by unscrupulous landlords only exacerbates the affordable housing crisis already facing residents of New York City. In recent years, the average rents in some city neighborhoods have risen by 20%; in such neighborhoods especially, unethical landlords can use construction as a way of cashing in on rising rents instead of protecting the existing tenants. Calls the City has been receiving from New Yorkers reflect this; construction-related complaints number in the thousands each year. Even as preserving and creating affordable housing has remained a focus of both the City Council and Mayor Bill de Blasio’s administration, the myriad loopholes landlords use in existing laws allow the number of rent-regulated apartments to dwindle. With both the cost of living in the city and rent continuing to rise, protecting the health and safety of tenants through legislation is the minimum of what can be done, the least of how this city can maintain a fair and just society. With the city losing affordable housing every year, we cannot afford to ignore any way in which tenants are threatened by eviction from their homes. As the clock ticks toward the end of the current City Council session, we need the Council to pass this Stand for Tenant Safety package of legislation as soon as possible. The New York City Council just made history by passing the city’s first ever Right to Counsel legislation, which will provide legal assistance to tenants facing eviction in housing court. 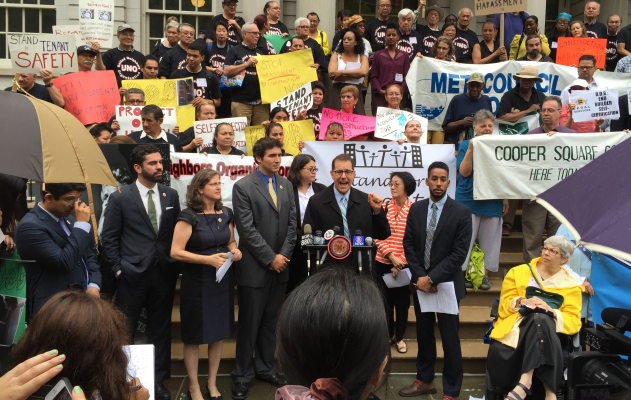 We urgently need to continue making progress on tenant rights in New York City by strengthening preventative measures that will help keep tenants from facing eviction in the first place. It is time that the City renew its commitment, through strengthening the enforcement power of the Department of Buildings, to standing up for residents living under adverse conditions and protect our communities from abusive, unethical landlords. As long as economic inequality and hazardous building conditions threaten health and safety, the City must continue to strengthen every person’s opportunity for a livable and affordable place to call home. As progressive City Council members, we hope our colleagues and the de Blasio administration will work together with us to ensure that our city’s most vulnerable tenants are protected. Antonio Reynoso, Donovan Richards, Helen Rosenthal & Ben Kallos are all members of the City Council and leaders of its Progressive Caucus. On Twitter @CMReynoso34 & @DRichards13 & @HelenRosenthal & @BenKallos, & @NYCProgressives.